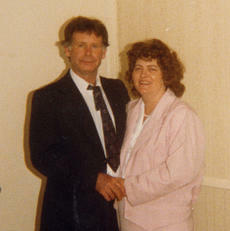 Carl and Judy Soard Pergram will celebrate their 50th wedding anniversary on March 10. They were married March 10, 1962 at Pilgrim Holiness Church in Paris, Ky. by Pastor G. W. King. They have three sons and two grandsons, Boston and Dalton. Preceptor Omega Chapter of Beta Sigma Phi held the Feb. 6 meeting at the home of Charlene Dawson. Patsy Barnett, president, called the meeting to order. Bonnie Teater presented the program on the traditions of Valentines. She gave a history of customs of Valentines in other countries and shared the fact that the theme of Love, Love, Love should be kept in the heart constantly. All members participated in a Valentine quiz and shared Valentine stories. The Cynthiana Chapter of the DAR met at the Cynthiana-Harrison County Public Library Community Room on Feb. 11. Regent Melinda Rawlings called the meeting to order and welcomed guests and members. Rawlings read the President General’s message and Jayne Newman read the National Defense message. Rawlings read the Conservation Minute. 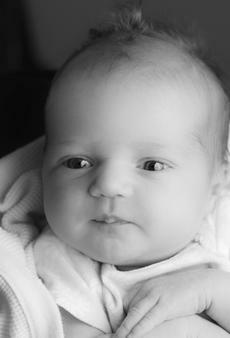 AnnaBelle Charlotte Lutes was born to Mitzi and Kevin Lutes of Georgetown, Ky. on Jan. 13, 2012 at Woman’s Hospital at Saint Joseph East. She weighed 7 lbs. 1 oz. Maternal grandparents are Howard and Charlotte Fallis of Salvisa, Ky.; maternal great-grandparents are Sonny and Anna Belle Fallis. Paternal grandparents are Mitchel and Phyllis Lutes of Cynthiana, Ky.; paternal great-grandparents are Henry and Edea Lutes and JW and Geraldine Cannon. 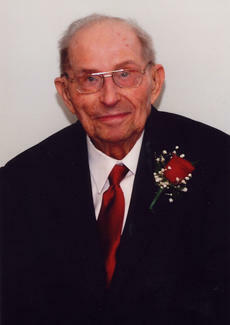 The family of Melvin Florence will host a 100th birthday party in his honor on March 4 from 2 to 4 p.m. at Unity Christian Church. Friends and relatives are invited. Cards only please. The Indian Creek Homemakers’ Club meets monthly on the first Thursday of each month at 10:30 a.m. The meetings are held at the Cynthiana Christian Church and include a discussion of ongoing club activities, an educational lesson of importance to the club, as well as a potluck luncheon that is always enjoyed by all. Visitors are welcome throughout the year and encouraged to visit. Births announced this week are: Brandon Gabriel Clark, Dec. 2, son of Mark and Melissa Clark; Summer Rose Mitchell, Jan. 31, daughter of Chris Mitchell and Rosemary Vaughn; Isabella Rose Schneider, Dec. 31, daughter of Rebecca Schneider. 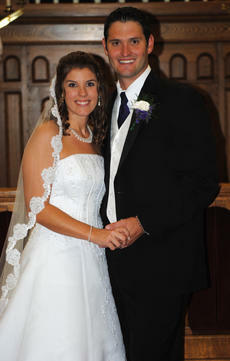 Steve and Rhonda Strawzell announce the marriage of their daughter, Crista Rae-Jean Strawzell, to Richard Thomas Crowdy. The couple was united in marriage on Oct. 1, 2011 at the First United Methodist Church in Cynthiana, Ky. Pastoral officiates were Chuck Cooper, Jimmy Owens, Dave Thurman, and Steve White. Strawzell’s maid of honor was her sister, Kelsi Strawzell. Cousins and best friends of the bride who served as bridesmaids were Lauren Anderson, Emily Duszynski, Kara Mattox, Caryn Ray, and Megan Shaftner.